Print a copy of your original order. To receive a refund, you must print a copy of your order ,and submit a letter in writing why you need a refund, all items and information must be received in order to get a full refund. Then return it along with everything that is listed in Steps 1 and 2. Gather the following items. Please do not staple or tape your submission items together. The letter that you completed in step 1 . 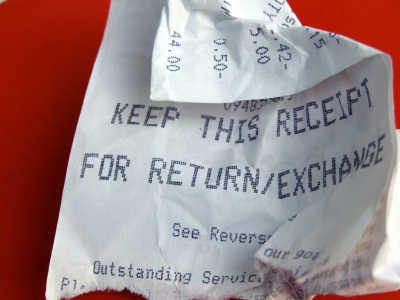 A copy of your original receipt on 8 1/2 x 11 inch piece of paper. Send only your original receipt. Do not send a copy of your credit card statement.